Air India has announced a revision of the short term promotion scheme, Silver and Platinum Pass for passengers travelling on its domestic network. Valid for unlimited travel on the Domestic network within fifteen days from the date of commencement of Journey. Travel to be completed on or before 15th January 2012. Validity for sale : With effect from 21st September 2011 for travel until 15th January 2012. Validity for Travel : 15 days from the date of commencement of journey. For determining the travel validity, the 1st day to be counted is the day on which the journeyhas commenced. Travel to be completed on or before 15th January, 2012. Discounts : No discount permitted. Silver Pass : Rs. 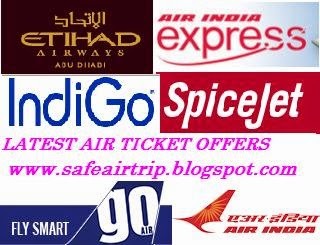 500 per coupon for every next higher RBD in Economy class. No additional JN Tax applicable. Platinum Pass : Rs. 1000 per coupon for the next higher RBD. The Upgrade amount is inclusive of 10.3% Service tax applicable for Business class travel. Sale Restriction : Both Silver and Platinum Pass will be available for sale within India only. Combination : Not combinable with any other Fare type or discount. Documentation : Photo Identity card to be carried for verification while traveling. No refund is permissible after the passenger has commenced the first leg of the Journey. A Refund fee of Rs. 1500 and Rs.2500 for Silver and Platinum Pass respectively is to be collected for totally Un-utilized Pass presented for refund.